Sun's out We're out for BBQ! Korean BBQ (one-burner stove (like this) + grill(like this))* - you can find at Korean grocery stores. - As a vegetarian having a non-vegetarian boyfriend who was keen to try Korean BBQ, I had to throw a bbq party. 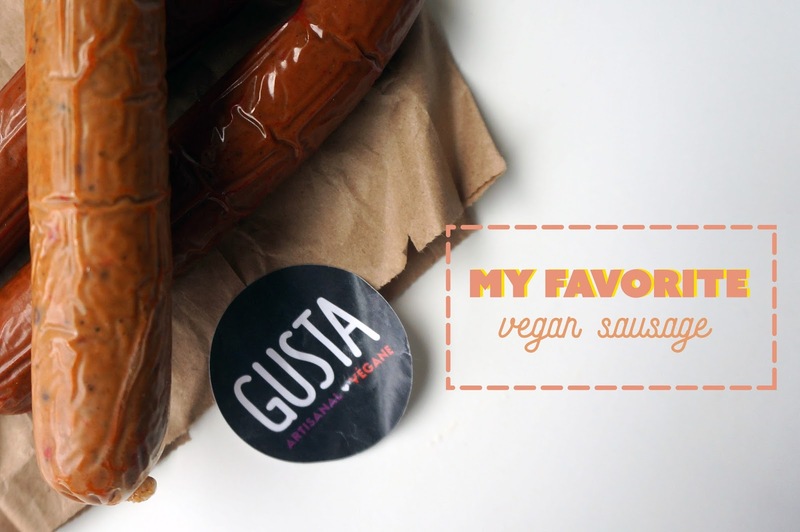 In fact, the reason why I could do the bbq was I knew a really good vegan sausage brand, Gusta (http://gustafoods.com/). hehe. They do have really good sausage! I mean... SO GOOD. My favorite is Italiana and I found Espanola is quite spicy. I tried other vegan sausages from different companies, but they just tasted like 'fake sausage'...literally. But this one, they made it so well! It is definitely not meat but it is very flavorsome. When I also made a Korean style bbq wrap with kimchi and ssamjang, the taste also blended very well. This is not only an option for vegetarians but for everyone!! 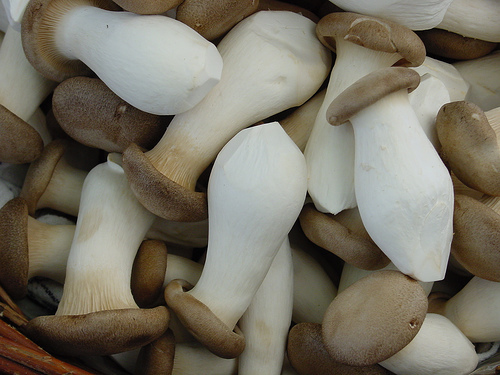 If you want to do Korean BBQ, you better have this mushroom! 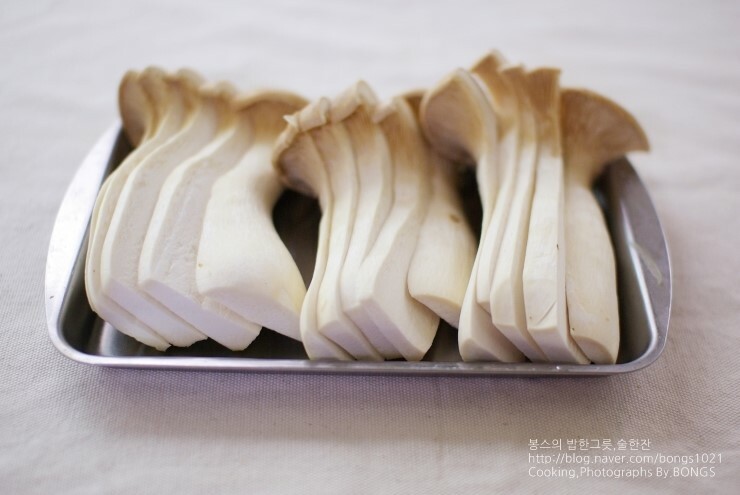 Slice the mushrooms like the picture and grill them! 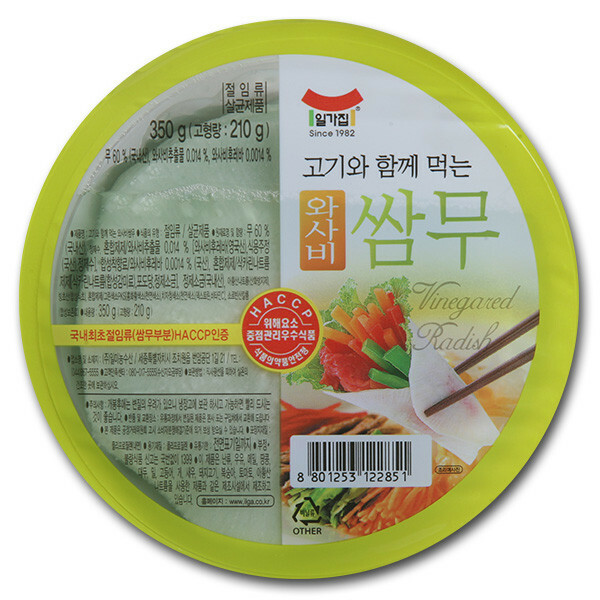 It tastes so super when you dip it in a sesame oil sauce -sesame oil + salt + sesame seeds(optional). 1) Set your bbq first. Place bbq pan on top of the stove and place a little bowl right below where the hole in the pan is. We do not need any oil in the pan, but to make the bbq easier, you can put a little bit of pork fat on the pan. You can place ingredients- pork belly, vegan sausage, mushrooms, onions, garlic, kimchi( preferably at the end in order to make the pan clean for other rounds.) in the pan. And wait till they are cooked. You can wrap the pork belly or vegan sausage with lettuce, radish wrap, kimchi, onion, garlic, ssamjang, etc. Literally, make your own wrap and eat it! 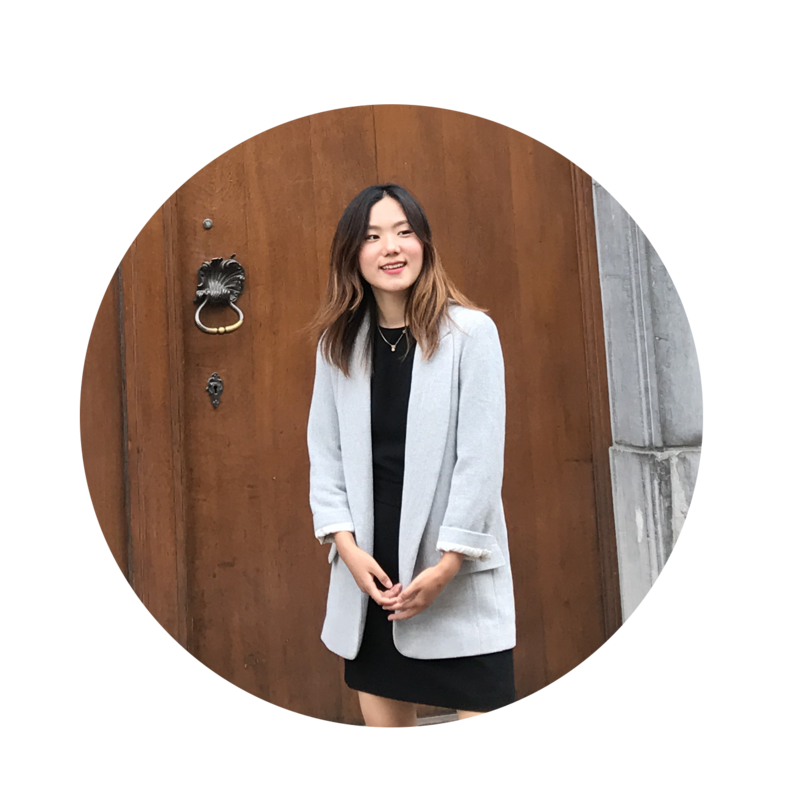 * I did the Korean BBQ with my boyfriend who is Belgian and his French roommates. Except for me and my boyfriend, they never had Korean BBQ before but they really enjoyed it. I couldn't take any pictures there since I was just enjoying the bbq as well. 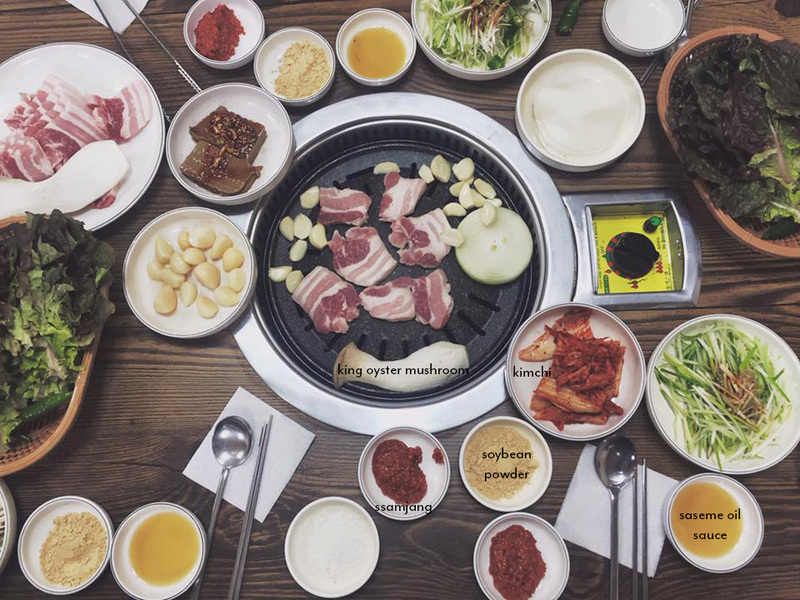 Korean BBQ is really easy to do if you have the equipment. Even the equipment is not very expensive. 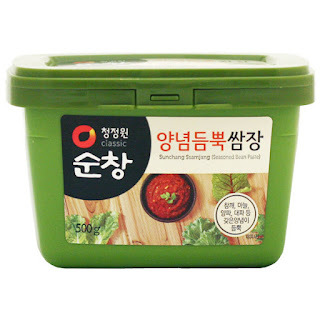 If you can't find the Korean bbq pan, then you can also just do with a regular frying pan too. I bet the taste would be a little bit different, but you can still do the bbq. Actually when I was younger and when my mom wanted to do little bbq for dinner, she just did it with a frying fan on a regular stove. It was still tasty for me. 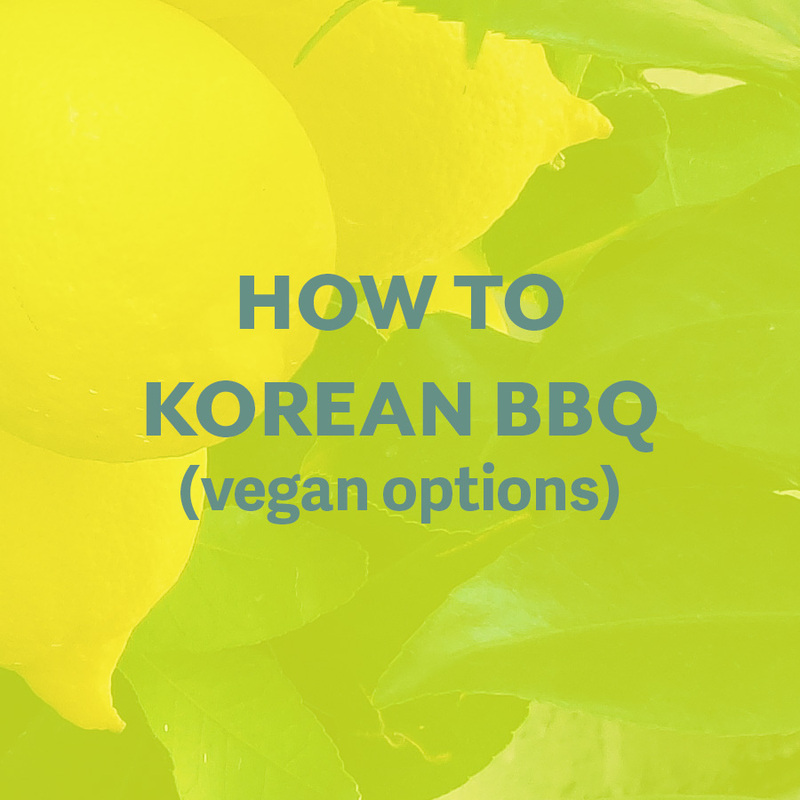 As the summer is coming, why don't you try the Korean BBQ at a park or in your backyard? It must be very pleasant for all of you!